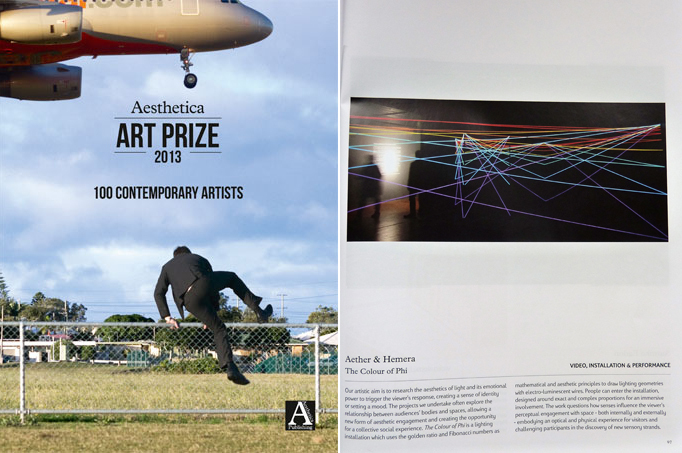 Aether & Hemera have been selected to present an innovative artwork for Shimmer digital arts. The North Tyneside seafront will be bathed in waves of light when the festival makes a spectacular return to Whitley Bay during the weekend of November 3rd and 4th. 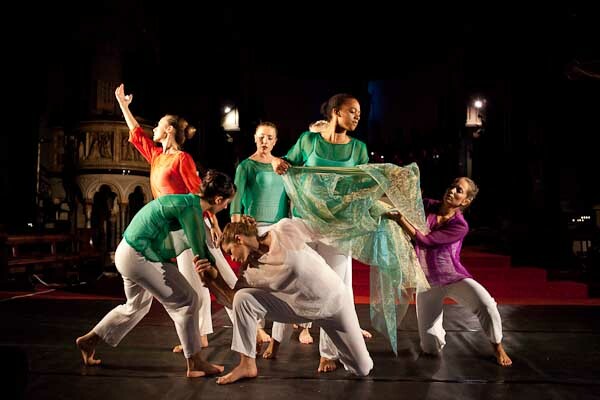 A great Contemporary Dance Work exploring our inner spirituality at St. Dominic's Priory Church on Saturday the 13/10. Lights - designed by Aether and Hemera - will convey both an absence of darkness and a quality that will help us to see and understand. More info about the event here. TippingPoint organisation has just launched of a new tool on their website - a database of climate-change-related artwork. It could be a valuable tool for many people: artists, producers, researchers, in fact anyone interested in learning about and developing insights into the ever-increasing range of work that is being produced on the subject. Our work with Sustrains has been featured in it: here the link. Aether & Hemera interactive video-projection has been selected for blinc Digital, the Wales’ largest Contemporary Digital Arts Festival showcasing work by a broad spectrum of artists from all over the world. This year’s blinc is dedicated to Alan Turing. A selection of artists are creating site-specific work to run alongside the Alan Turing Centenary celebrations. Highlights included Bedwyr Williams Boat Tour, Ludic Rooms on the castle, Helen Booth’s hypnotic installation and Aether and Hemera interactive piece. The BBC Space is also covering the commissions online. 27th & 28th of October 2012. Curated by Craig Morrison and Joel Cockrilll. If you happen to have a few RGB LED strips around and you play with electronics you are probably tempted to hook them to your arduino (or other preferred microcontroller) and paint your favourite corner of the house with beautiful colours. This work aims at investigating the relationship between creation and fruition of art, in works that show intelligent responsiveness to viewer input. Which is your brass voice? is an interactive installation in which the audience members are partners in constructing meanings and producing contents. Using artificial intelligence techniques, the artwork analyses the individual nuances of people’s voices and creates a new music composition in real time on the base of its vast musical knowledge. Users’ voice is transformed into sound and coloured lights for exploring rich aesthetic interactions. Keywords: computational creativity, intelligent systems, software art, digital media, artificial intelligence, interactive installation, installation art, embedded electronics, public engagement, open work, audience experience, interdisciplinary collaboration, co-creation. Aether & Hemera have been selected to participate in Durham Brass:2012 Festival. Which is your brass voice? Interactive light and sound installation, was chosen from a highly competitive listings of more than 40 artists for the festival which will focus attention on the creative exploration of Brass culture and music in Durham. BRASS: DURHAM INTERNATIONAL FESTIVAL 2012 will takes place from 6 - 22 July 2012.